Popcorn Wednesdays! Bags are now $0.50 each. In order to comply with government regulations, we must use an alternative recipe. These are a little more expensive, forcing us to raise the price. However we are excited to continue this tradition for the kids, who LOVE their popcorn Wednesdays! We now have a facebook Group! This is a "closed" group, so just ask to be added to stay in the loop. 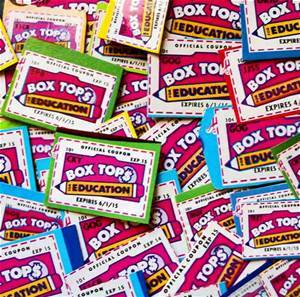 Remember to keep clipping those box tops! Fill out this form to let us know which areas you would be willing to help out in.Return to the school with your child. Thanks! We would like to thank and recognize our corporate sponsors! We are so blessed to have these businesses in Wells County and support our school. Roembke MFG. & Design, Inc.
Lancaster PTO will be holding their 1st book fair of the year October 3rd-5th. Family Night will be Monday October 3rd from 6-8 p.m.